This next link was forwarded to me from my little sister who has noticed this health potential Blog which I must say definitely interested me when I read it, as it was a Great blog Idea! Recent study determined that Green Coffee Bean Extract is the next best thing. Called “miracle weight loss pill”, this green pill is ‘natural and pure’. In fact, studies show that it is the chlorogenic acid that burns the fat and slows the build up of sugar in the blood stream. This bean is a ‘powerful natural antioxidant’. 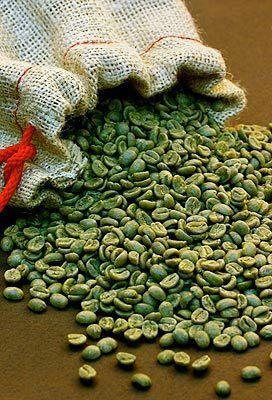 Experiments were done showing, that in fact, taking these green bean coffee extract meant Fat Burning, Appetite Suppressant, Quick effect, Proven Results, Increase in Focus & in Energy Throughout the day. It seems easy and amazing, but obviously I am skeptical about this, seems too good to be true. Honestly, I won’t say it doesn’t bring curiosity to me… this ‘drug’. I guess only time will tell, and if you want to try it you are more than welcome, let me know what happens… I might try it myself. But I must say, I don’t know if I trust it completely, diets are usually bogus. This one, though, seems different for some reason. Though, I don’t know if I would take them as pills, but maybe the actual green bean *naturally*. What do you think? … Please leave a comment with your opinion.